If you have unruly hedges, bushes or trees in your garden call our reliable gardening team in King's Cross for some specialist help today. Our gardening professionals in WC1 are experts at hedge trimming and pruning and can transform your tangled bushes into sculpted, artistic designs. Fully-trained at tree-felling, our gardening experts can even remove large branches or trees from your garden with ease. So if you want to make your garden neat and tidy for all to see, our trimming and hedging team in King's Cross have the gardening tools and know-how to help. If you want to inject some life back into your dreary King's Cross garden then our WC1 garden design team will know exactly how to help. With a huge variety of colourful flowers, fun features and pretty patio areas, our WC1 gardening experts can work their magic in just a few days. 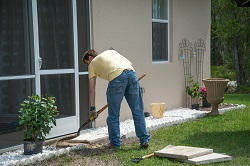 Skilled at landscaping, planting and patio cleaning, our WC1 team can take care of anything that you need. So if you’re in the Barbican, Charing Cross, Aldwych, Shoreditch, St Pancras, Covent Garden, Clerkenwell, Monument, Saffron Hill or Strand areas and want to lift your gardening spirits then call London Gardeners on 020 8434 7256 today. Improper gardening can cause flowers and plants to die before their time, however with the help of our King's Cross garden care team you can make sure that your much-loved trees and bushes last for many years to come. 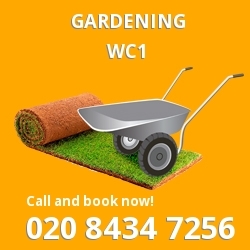 Helping you with everything from weed control, lawn planting and garden spraying, our gardening professionals in WC1 can make sure that your soil is in the best possible condition. So if you want what‘s best for your garden, call our team on 020 8434 7256 today. 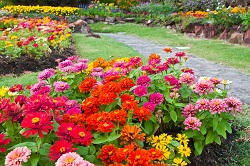 Our gardening firm that operates within WC1 has an excellent landscaping team who can redesign your garden in King's Cross with ease. Making the most of the shape and size of your garden, our gardening professionals can give you the garden of your dreams. So whether you want a wild flower delight, a neat and immaculate lawn or a sleek and chic retreat, our King's Cross gardeners can design it all. The lawn is the focal point of many gardens in the King's Cross area and giving it a full service is an important part of your garden maintenance. Our lawn care team in WC1 are experts at reading your lawn and can make each and every blade of grass look its very best. The lawn restoration and repair treatment is ideal for dehydrated or undernourished lawns, while the lawn planting programme can return any balding lawn to its full former glory. Our annual scarifying and aerating gardening processes can also help your lawn to experience continual growth and can keep it moss-free for many years to come.